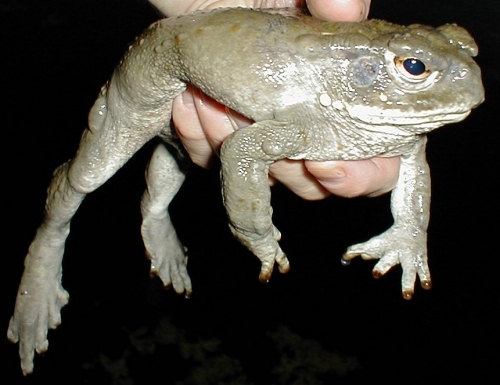 The skin of Bufo alvarius, a desert toad of Arizona, contains a number of indolealkylamines and their metabolites belonging to the common series of 5-hydroxy-indolealkylamines and to the unusual series of 5-methoxyindolealkylamines. The most abundant representative of 5-hydroxyindolealkylamines is, as in numerous other toads, bufotenine (up to 3 mg per g dry skin), the most abundant representative of 5-methoxyindolealkylamines, O-methylbufotenine. In parotoid and coxal glands as much as 5-15 per cent of the dry weight is made up of this compound. Natural O-methyl-bufotenine has been isolated in a pure form and it’s identity with synthetic O-methyl-bufotenine definitely established. The B. alvarius skin presents three sulphur-containing indolealkylamines: one is bufoviridine, the well known O-sulphate of bufotenine, the other two are completely new compounds with sulphuric acid probably attached to the > NH group of the indole nucleus. All hitherto described metabolites arising from the oxidative deamination of 5-hydroxy- and 5-methoxy-indolealkylamines may be found in the B. alvarius skin: 5-hydroxytryptophol, 5-hydroxyindoleacetic acid, 5-methoxytryptophol and 5-methoxy-indoleacetic acid. The occurrence of the above compounds points to the necessary presence in B. alvarius skin of a number of enzymes: tryptophan 5-hydroxylase, catalysing the formation of 5-hydroxytryptophan, aromatic L-aminoacid decarboxylase producing the decarboxylation of 5-hydroxytryptophan to 5-hydroxytryptamine, N-methyl and O-methyl-indolealkylamines, and finally sulphoconjugases catalysing the linkage of sulphuric acid to the 5-hydroxy group and the > NH group of the indole nucleus. The exceptionally rich sample card of indolealkylamines in the skin of B. alvarius seems of interest not only from the point of view of comparative biochemistry, but also from that of comparative enzymology and biochemical taxonomy. Commentary: This the Grandfather of all Bufo alvarius psychoactivity research which established the level of bufotenine contained in this toad’s venom to be up to 3 mg/ g dry skin, and the level of 5-MeO-DMT (O-methylbufotenine) contained in the venom to be as much as 5-15mg/g dry skin. It is important to note that in this study, the material examined was the ENTIRE parotoid gland and the venom contained within it. Had they simply extracted the venom and tested it alone, I believe they would have found the presence of 5-MeO-DMT to be greater than 5-15% and the presence of bufotenine to be greater than 3%, even though they did find that these substances also exist in the skin itself. That's one basic problem with all natural sources of drugs, the potency varies greatly. This is even more of an issue for 5-MeO-DMT, since the dose is an important variable. Therefore, it is important to milk as many toads as possible and to combine and mix the venom as thoroughly as possible in order to standardize the dose. 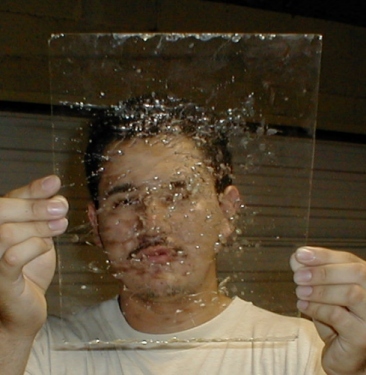 This is most easily done by collecting all the venom in the same spot on a glass plate, and then chopping it all up together with a razor blade at the end of the night before the venom is almost completely dry. Once the venom has thoroughly dried, you should blend it further into a uniform consistency by crushing the venom into a fine powder using a mortar and pestle, or some similar device. And also see Shulgin's TiHKAL, #19. 5-HO-DMT - bufotenine - as hosted on Erowid. Different nomenclature exists because Chemists are also humans, and so chemical names evolve over time the same as for other names. Think of all the different names for dried cannabis (marijuana, pot, kind bud, etc. ), or many other common things (car=auto=automobile). Often shorter words replace longer words or phrases, kind of "linguistic laziness". Of the names above, I think the first is based on a standard way of naming chemicals, kind of the formal name. The second and third is the full, everyday name. The forth is an abbreviated form of the second and third. The fifth is an alternate name. All these names are descriptive, and generally there are many ways to describe things. For example, the second and third names are like "the red, metal ball" or "the metal, red ball". Chemical nomenclature is often quite complicated. It is always much simpler to draw out the substances. I believe tryptamine is an indole ring with (-CH2CH2NH2) at the 3 position and (-OMe) at the 5 position. The dimethyl analog has two methyl groups attached to the same nitrogen (hence N,N). But, if you're not an organic chemist, that won't make much sense to you.